How do I reserve the technical training room in Information Services? Where are there student use computers on campus? How do I get tv cable in my dorm? Q: How do I reserve the Technical Training Room in Information Services? A: Simply go to http://schedule.owu.edu and request an event. You can also reserve the IS Conference Room (Corns 114) in the same way. 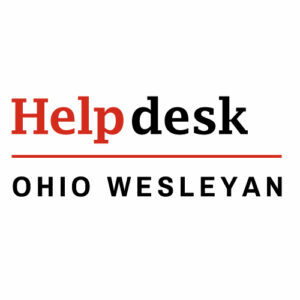 Q: I’m a new student and I have questions about computer use at OWU. A: See our New Student Questions page. Q: Where are there student-use computers on campus? A: See the Computer Labs on Campus page. Q: How do I get cable TV in my dorm? A: Cable is provided in the dorms already, you would just need a coaxial cable to connect. See the Cable TV Page for more assistance.